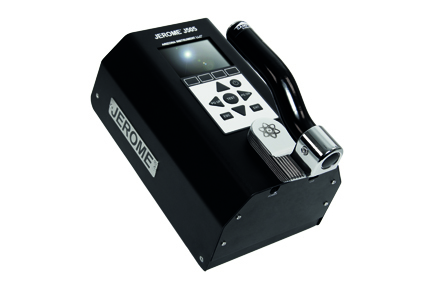 ABLE Instruments are Exclusive Representatives for AZI’s latest Jerome J505 Mercury Vapour Analyser, which is a portable fluorescence spectroscopy analyser. This technology allows the detection cell to be smaller, simpler, more durable and lighter weight than other spectroscopy instruments. The high efficiency optical cell needs less flow to purge the system, allowing the AZI J505 to run at a lower flow rate, which minimises sample dilution to achieve accurate readings.